This program is, without a doubt, an experience full of adventures and surprises that will captivate the hearts of all courageous explorers that go deep into this adventure. Reaching places where man has never been before, fishing in places that haven’t suffered human alterations, pollution or any kind of intervention other than that of Mother Nature is the privilege that our guests will experience with Nomads of the Seas. To keep its promise we rely on our cutting edge aero-maritime transport system consisting of a Bell 407 helicopter, jet-boats, a Hurricane 920 RIB zodiac, and other lesser watercrafts such as zodiacs and catacrafts. Meanwhile, 36 McKenzie boats and 12 jetskiffs are placed in strategic spots of the Patagonia, readily available for fishing trips in deeper territory. This equipment allows us to penetrate into the most secluded rivers, lagoons and mountains, some of them lying untouched and unseen, waiting to be discovered. It´s not necessary to travel with a wide variety of flies. You can have general patterns in a variety of sizes, shapes and colors. If you have an extensive selection of trout flies, bring them with you since many of the patterns will work. The list on the following page is a general guideline only, you can rely on the guides to supplement with more specific patterns if necessary. One 4 or 5 weight, 9 foot, 4 piece fast action rod is the most used in Patagonia. However sometimes a 6 and 7 weight rod comes in handy for places where heavier lines are used. We suggest that you take at least one pack rod that you can carry on to the plane. High quality, disc-drag models with a minimum of 150 yards of backing. One shooting tipper Line (150 to 200 grains). One line WF for dry fly fishing. * We insist that passengers bring their own gear, however in case of an emergency; we have some limited rental gear on board. We suggest medium weight under garments in November, December, middle of March and April as they work the best. Light weight garments can be used during the rest of the season, January, February and middle of March. During January we recommend you abstain from using blue colored clothes as in some areas there might be horse flies that are specially attracted to this colors. Wading Shoes: Light pair, comfortable (no spikes), with felt soles and gravel guards are necessary. We discourage the use of waders with incorporated boots as you will walk a fair amount in them. Socks: Medium to heavy weight socks must accompany your outfit. 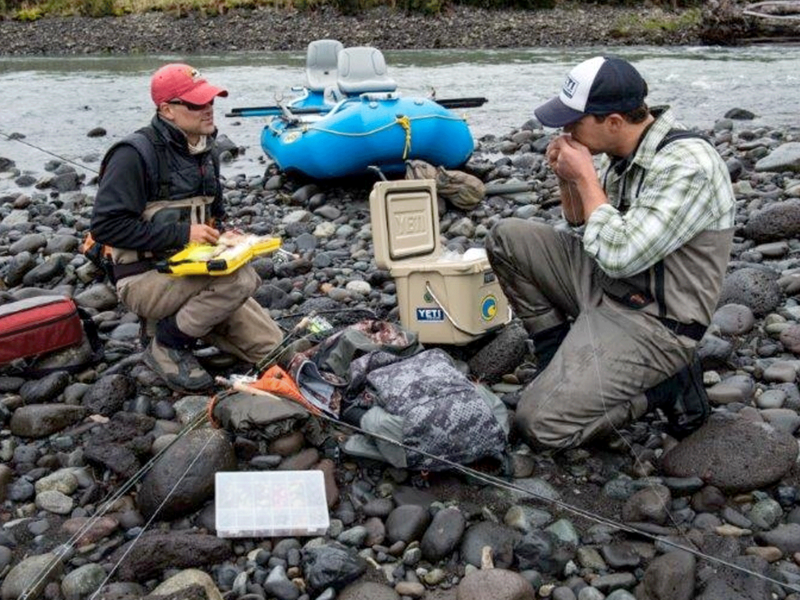 Insulation: Optional, for under your waders, we recommend Patagonia Capeline. Soft luggage and duffle bags are much easier to handle and pack. Binoculars: Optional. It`s best if you are going on an wildlife trip. 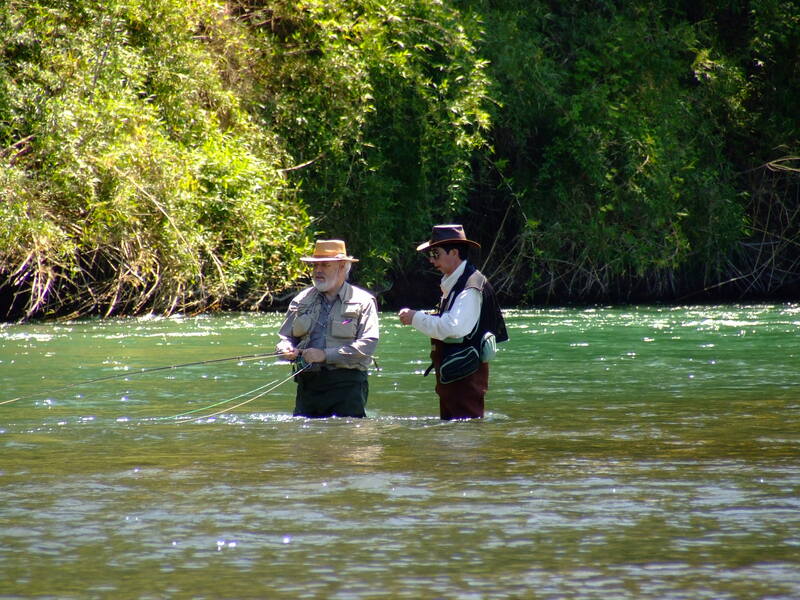 Our fly fishing guides are highly trained in fly fishing techniques as well as safety. They have undergone numerous hours of specific training such as casting techniques, digital photography, coastal sailing, survival techniques, service excellence workshop, fire prevention & extinction, first aids, zodiac boat handling, mechanics, among others. 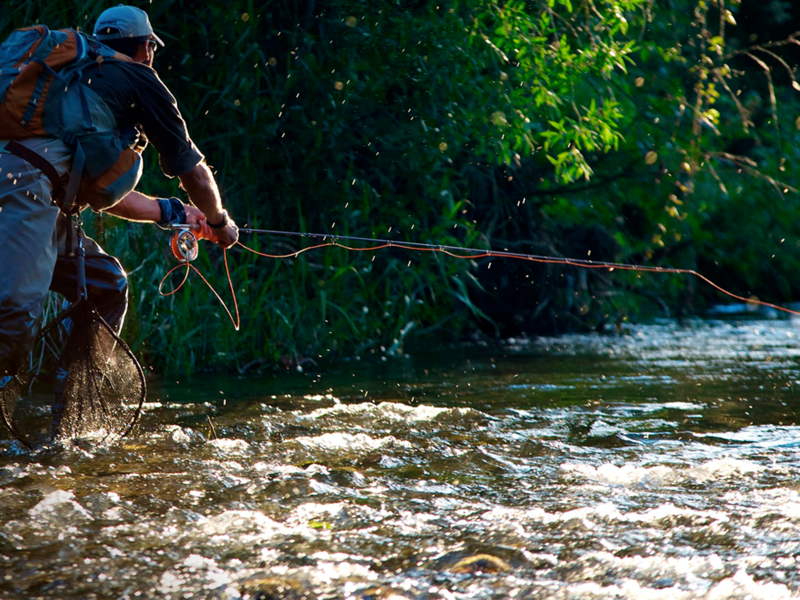 They will accompany you in this great adventure; anglers will have the opportunity to fish with a variety of different guides’ trough out the course of the week.